GooGhoul, which sounds a lot like Google, brings the power of local search to finding Halloween events near your home. All you need to do is enter your Zip code and you'll see a listing of events. 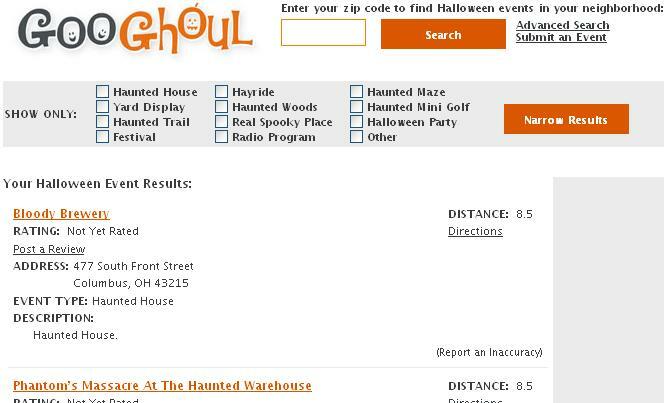 Search filters include Haunted House, Hayride, Festival, and Halloween Party. You can also submit events. I imagine GooGhoul will get away with its trademark violating name since its shelf life is about one day.